WindScribe vs TunnelBear: Which One is Better? Today we’re going to take a look at two strong contenders in the encryption and proxy server arena: TunnelBear and WindScribe. Both companies have a lot in common too. Apart from both being based in Canada, both providers have a free version of their service that can be used indefinitely and is only inhibited by a monthly data cap. TunnelBear has stepped up its VPN game and is continually improving its service. I remember first seeing TunnelBear not long after it was first launched, and I thought that it was a sub-par service that wouldn’t last long in a highly competitive industry. Fortunately, I was wrong, and TunnelBear has expanded its network of services and reduced the limitations placed on the free version. But which one is better? And which one makes the most sense for you to use? Luckily, you can test each service out for free without even the slightest risk, but let’s take a look at each component of these two services to see which one is superior. Both services are pretty even when it comes to their pricing model. If you get an annual subscription from either provider, expect to pay about $5 per month, which isn’t bad at all. Furthermore, note that both providers offer a free service. If you were really hurting for more data, I suppose you could sign up for both providers free services, though WindScribe offers a much larger monthly data cap. I have to say that I think WindScribe has a superior network of nodes scattered in more locations around the world. WindScribe has servers in 50+ countries around the world and seems to add more servers as needed. TunnelBear, on the other hand, only has servers in 20 countries around the world. For me, that isn’t really a whole lot of options, especially since the average provider (like PIA VPN) typically hosts servers in at least 25 countries. However, I have been keeping my eye on TunnelBear and watched the company grow from a plucky young startup to a competent contender in the VPN industry. I would expect the network to grow even more as demand increases. 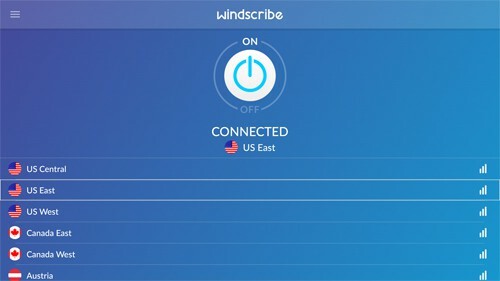 That said, WindScribe is still the better option if you have special needs to connect to a certain country. Furthermore, there isn’t really much of a difference with regards to where each company is located. Both of their headquarters are in Canada. Although, WindScribe is based in Toronto while TunnelBear is based in Ontario. I don’t care for companies based in Canada, but hey…at least they aren’t based in the US. WindScribe’s list of features is a little complicated because it doesn’t use the typical tiered pricing system as other proxy and VPN services do. But to its credit, it does have a free version of the service that you can use indefinitely. The only catch is that there are some tight restrictions on the free version that don’t make it ideal for fully functional use on a regular basis. Still, if you just need the free version on a semi-regular basis or for a short period of time, it’s great to have a free option. I think the feature that shook me the most was the monthly data limit available on the free version. It’s rather common for free VPN services to place such restrictions on free users to prevent them from bogging down the servers for the paid users. But what really surprised me was how much data each free user is allotted each month. WindScribe allows free users a whopping 10GB of data per month, whereas other free services only allow 100MB or 500MB. A few will allow up to 1GB if you jump through some hoops first, such as tweeting about the service. It was also unexpected to discover that free users can still send and receive P2P and BitTorrent traffic. In the past, I’ve seen free competitors bar free users from P2P traffic to incentivize free users into subscribing to the paid service. However, be aware that free users only have access to 11 server total. Oh, and guess what? The free version can be in use on an unlimited number of devices. I hate it when free services lock you down and track your email address to make sure you only use the free service on one device, so thankfully WindScribe doesn’t engage in such annoying marketing ploys. The paid version, on the other hand, has a lot more to offer. Of course, the paid version includes all of the features of the free version as well, but also gain extra privacy and anonymity settings like the double-hop feature, secure link generation, web browser extensions, and automatic cookie management that deletes browser cookies whenever you close a tab (cool!). TunnelBear, despite being a low-cost provider, actually does have some fairly good features. I do wish the network size was larger than only 20 countries, but I expect them to grow over time. On the other hand, I was happy to see that paid subscribers are allowed up to five simultaneous connections. But I suppose that doesn’t hold a candle to WindScribe’s allowance of unlimited devices. Furthermore, I think the client is incredibly easy to use and was obviously designed to be user-friendly so that an average user (technologically literate or not) could easily fire up a VPN connection. To that end, I thought the website was equally uncluttered and easy to navigate. And the encryption protocols available are so strong they’re still in use today in military and banking applications (AES-256). As much as I like the TunnelBear service and its branding, I have to say that WindScribe is the better service of the two (for now, we’ll see if that changes in the future). Let’s face it, WindScribe beat TunnelBear in just about every aspect of the service, and the prices are pretty darn close. 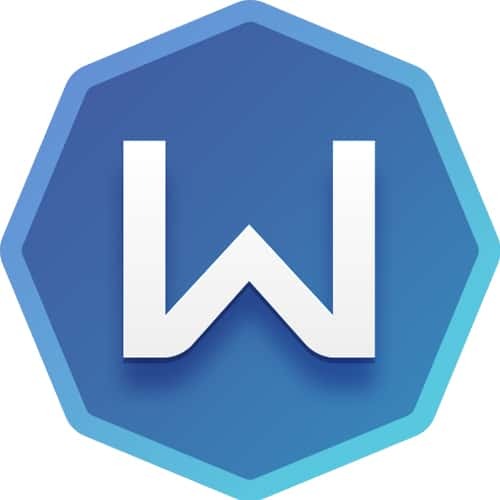 Plus, I really liked WindScribe’s free service more than I did TunnelBear’s because it’s more practical and allows 20 times more data per month than TunnelBear. Oh, and WindScribe has 50+ server locations where TunnelBear has a mere 20. Don’t get me wrong, I actually like TunnelBear a lot. But in this case, I’d have to say that WindScribe won by a wide margin. If you don’t believe me, then I highly encourage you to go download the free services for yourself to see what you think.